2.5 oz. 50/50 cotton/polyester woven fabric. Raw serge hem. 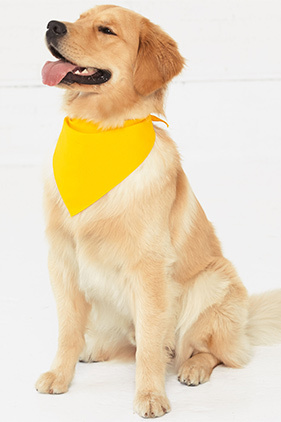 Designed for dogs of all sizes, these bandanas are a simple way to give your dog some fashionable flair.